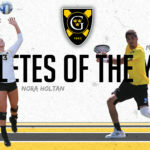 Another successful year of Golden Gustie athletics is in the books and to officially close out the 2017-18 academic year, the Athletics Department is proud to announce volleyball setter Nora Holtan (Jr., Rochester, Minn.) and tennis ace Mohanad Alhouni (Sr., Tripoli, Libya) as winners of the 18th Annual Gustavus Athlete of Year awards. 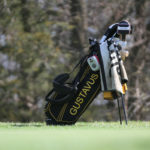 The Gustavus Athletics Department has announced the dates for its 2018 annual golf tournaments, which serve as social gatherings and fund raisers for a number of different teams. Select teams organize their own golf tournaments. 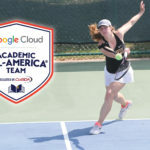 The 2018 College Sports Information Directors of America (CoSIDA) Google Cloud Academic All-America Women’s At-Large Teams released today and Gustavus senior Katie Aney (Rochester, Minn.) is named to the 15-member First Team, which features student-athletes who participated in field hockey, golf, gymnastics, ice hockey, lacrosse, swimming, and tennis. Aney makes her second consecutive appearance on the Academic All-America Team after earning Second Team honors last year. 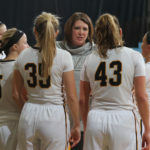 Northern Arizona University Athletics announced the members of the 2018 NAU Athletics Hall of Fame class last week and Gustavus head women’s basketball coach Laurie Kelly will enter this year’s class as coach of the 2005-06 Big Sky Championship team. Kelly and her former team will be honored on Friday, Sept. 21 at the High Country Conference Center in Flagstaff. 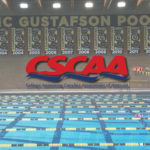 The Gustavus Adolphus College Athletics Department has entered into a five-year partnership with BSN SPORTS and Nike, which was announced Monday by Athletics Director Tom Brown. 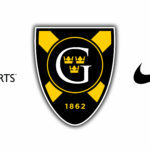 The agreement, which commenced June 1, will make Nike the game day outfitter for Golden Gustie athletic teams.